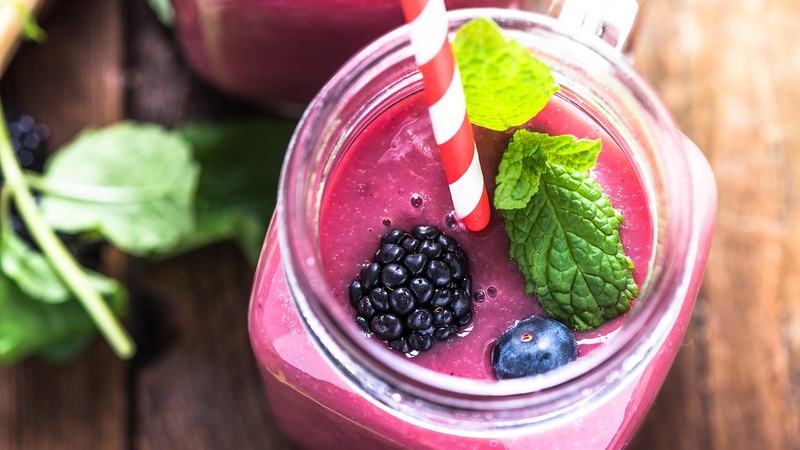 Smoothies are completely versatile and can be tailored to taste, health needs and to get the right texture. Play around with different ingredients to get the flavours you want – it’s a perfect place to hide some spinach leaves, avocado, or even bee pollen for a dose of B vitamins! I have to say, in most cases I’m not a fan of icy drinks – as for many people the digestion is weak or sluggish, and benefits from ‘heat’ – cooked/room temperature or above/with warming spices added. I recommend letting frozen berries thaw overnight, or just let your smoothie stand for a while to take the chill off.